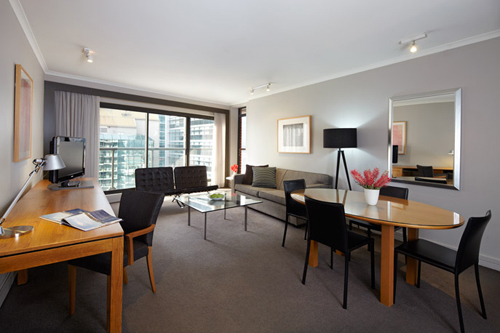 Adina Apartment Hotel Sydney offers first class 4.5 star serviced apartment accommodation directly opposite Town Hall station. 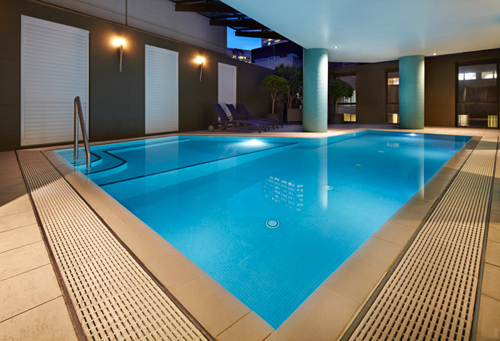 This hotel offers all the services of a hotel in apartment style accommodation, including 24 hour reception, WiFi, onsite restaurant, indoor pool, spa, gym and parking. 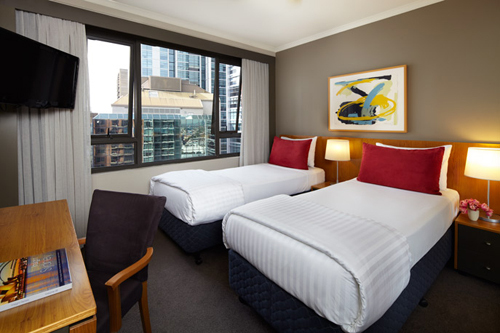 Rooms at Adina Sydney cater for up to 5 guests. 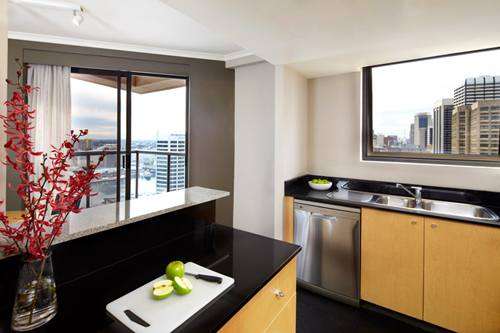 Studio, One and Two Bedroom Apartments are available, all with a balcony. 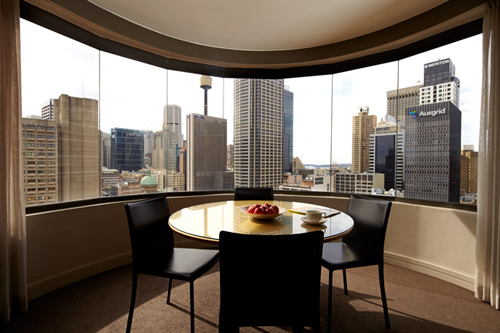 Premier room types have city views. 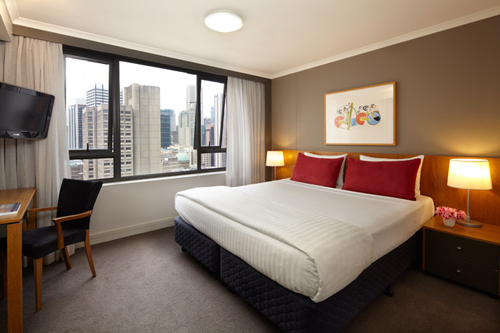 Adina Sydney is well located to explore the city, with Town Hall, QVB Shopping Centre and Westfield Tower just around the corner. 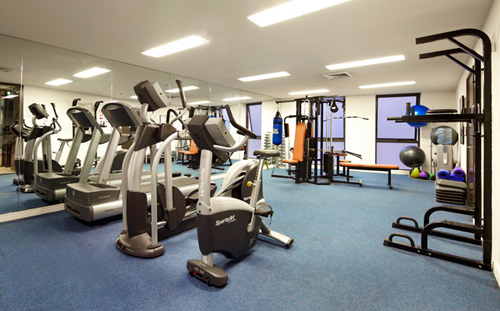 Access to the airport is easy using Town Hall station to directly access the underground stations at each terminal. 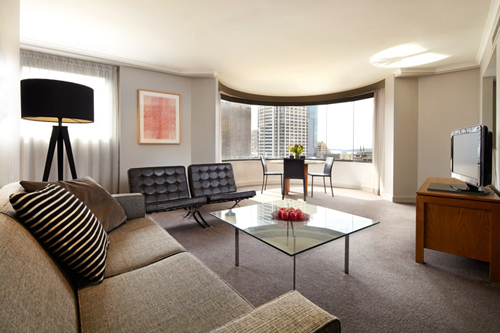 Directions to parking: Parking is at an addiitonal charge of $30.00 per day per car. Limited parking spaces available. 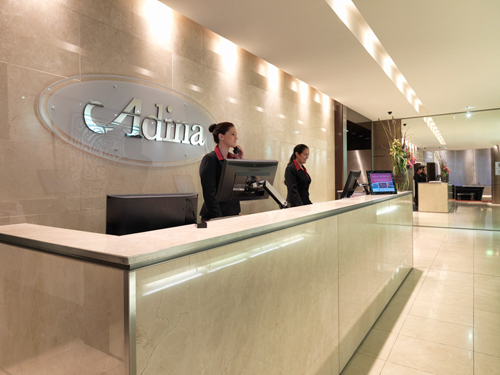 Entry is on Kent St.
Adina Apartment Hotel Sydney is 8 out of 10 based on 2 customer votes & Yelp reviews.